To the left is a picture of Joel. Joel can be found in the balcony most Sundays. Often close beside Joel is Phil (pictured below). 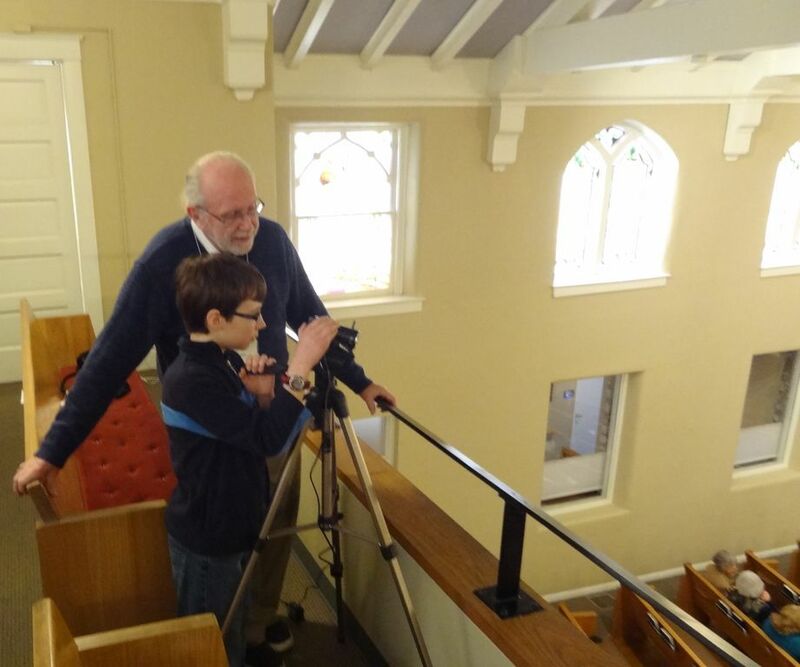 The two work hard together to make sure there is video recording of the service at Rainbow. 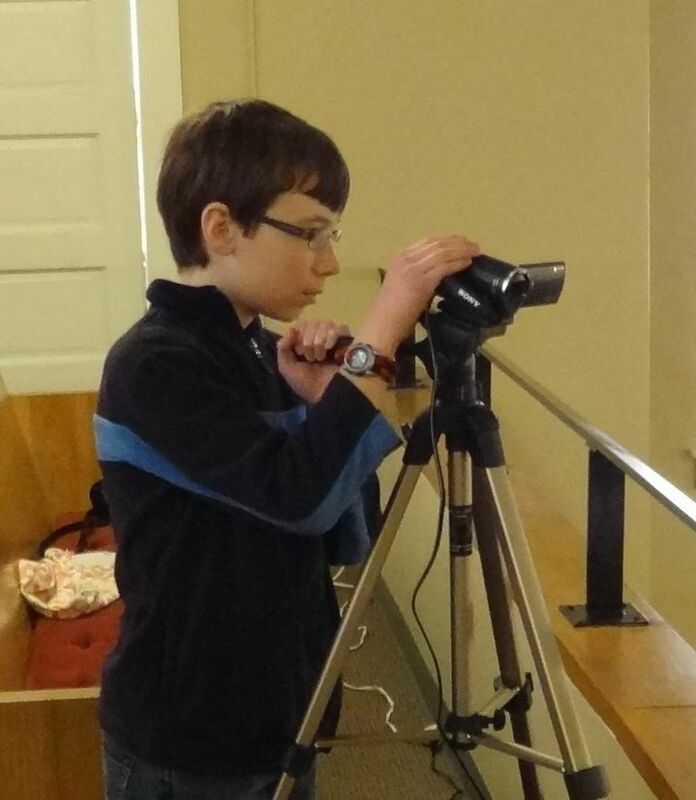 I recently asked the budding cinematographer some questions about his work. Below are his answers. 1. What is the hardest part about videotaping the service at Rainbow? Three things; 1. Knowing what to zoom up on. There are so many things! 2. Knowing what to do if the camera runs out of memory, and 3. Knowing when to go to the bathroom (ha). 2. Do you enjoy doing this and if so, why? I am enjoying this quite a lot because I get to work with a camera! I really like working with anything that has to do with technology. 3. Anything else you want to say about the experience so far? It has been really fun working the camera! I would like to thank Phil Rhoads for letting me operate the camera. I, too, want to say thank you to both Phil and Joel. Your work is much appreciated.